Efficiency, economy, and equity are policy goals pursued by governments around the world, but analysts and evaluators have devoted more effort to measuring and evaluating the first two. 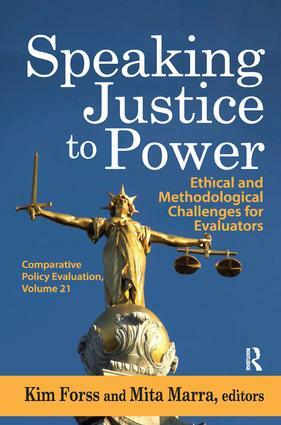 In Speaking Justice to Power, contributors examine the concept of equity, the role it plays, and its application in policy evaluation. Here some of the most valuable thinkers in the area of policy studies address key questions: How should evaluators develop criteria for measuring equity as they analyze both program and policy implementation as well as their impacts? What distinctions among people should be taken into account when measuring and valuing impacts? What sorts of data should be used to analyze processes and impacts in different settings? How might such data be validated? The contributors employ grounded-theory thinking as they translate key ethical principles into their work and draw important lessons from their experiences. The work discusses equity in interventions addressing a variety of social and environmental problems. This volume continues the fine tradition of Transaction's Comparative Policy Evaluation series.